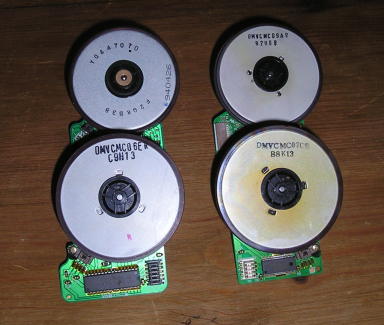 These are multiphase motors from video cassette recorders. Think they may be called Spindle Motors. Lots moving to dumps now. 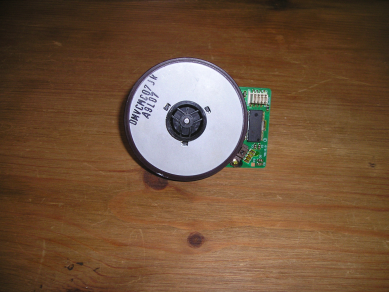 There are some uses for these, see: Motors: Brushless at: Salvage Parts and Sources. 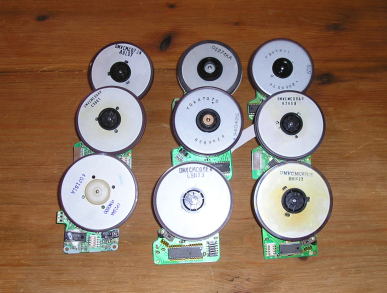 The challange here is to power them up as motors using the drive electronics they alreay have. Typically they have 3 to 6 connections. It seems like applying the right signals to these would be all that it would take. But what are the signals? I've investigated similar "modules" from CD and floppy drives in the past. All the logic is typically contained in that single big chip, but finding data for those chips can be very difficult. 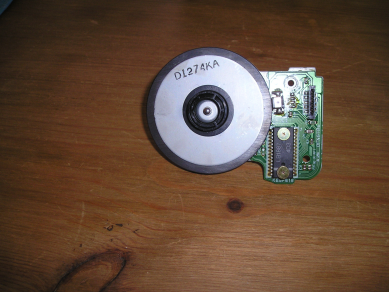 There seems to be a lot of churn in the marketplace as vendors try to reduce costs, and even if the chip is from an identifiable company, and that happens to be a company nice enough to have downloadable datasheets, by the time the product hits the scrap heap the particular chip it uses is likely to be obsolete and no longer listed. Good Points, If it were simple it would not be a challange. I can get the chip numbers, as you suspected they are various, and chips have about 20 pins. 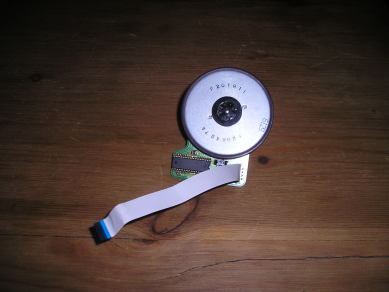 But the board has only 4 to 6 pins so the point here is to spin it up using the 4 to 6 wires. This may or may not be a great approach. The interface on this level is probably simpler and more consistent than that to the chip. Schematics of VCR might help. What should the winner get, who will provide it. This page was last modified on 25 September 2014, at 07:04. This page has been accessed 7,703 times.